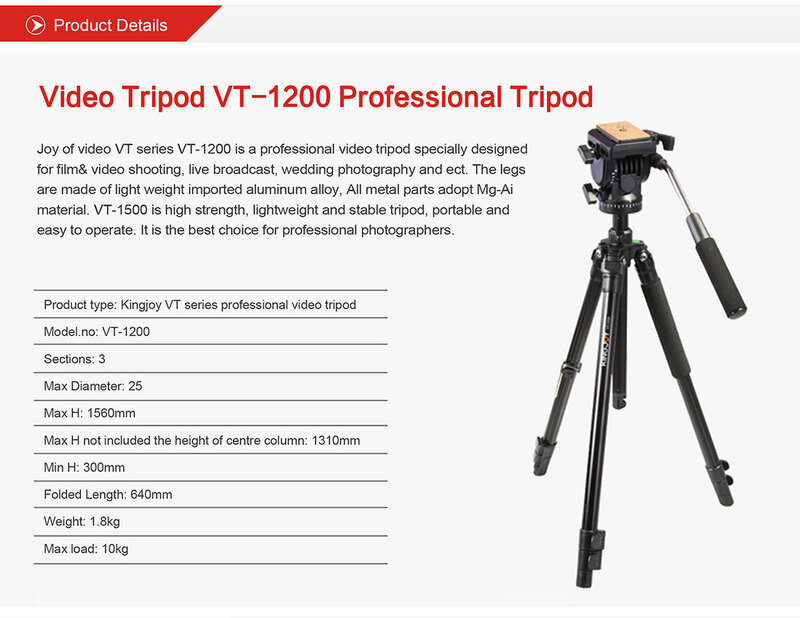 “Joy of Video” VT series is a professional video tripod specially designed for film & video shooting, live broadcast,wedding photography and etc. 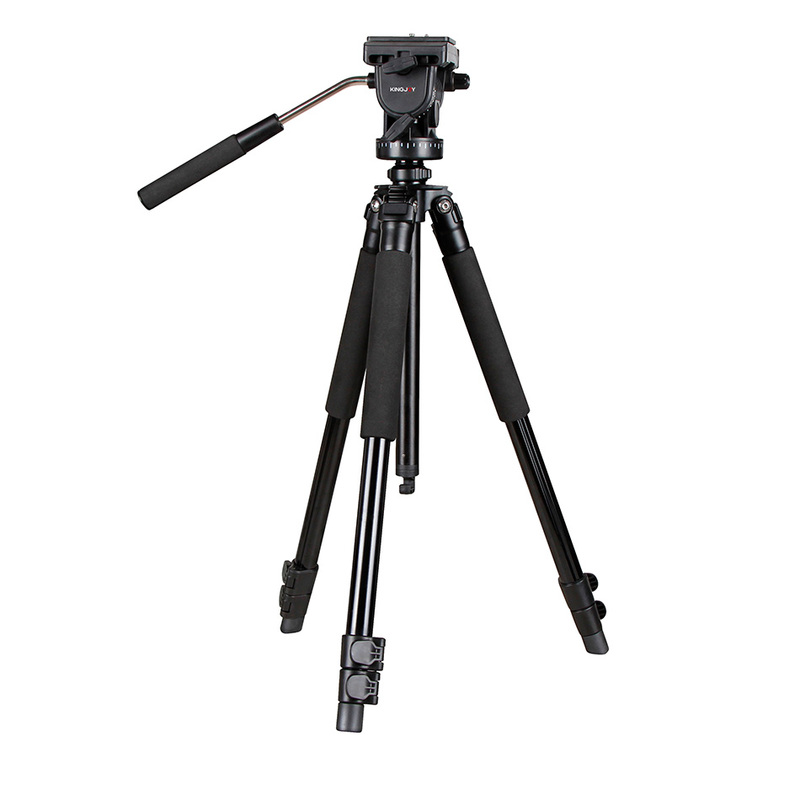 The legs are made of imported aluminum alloy which are treated by lightweight processing. 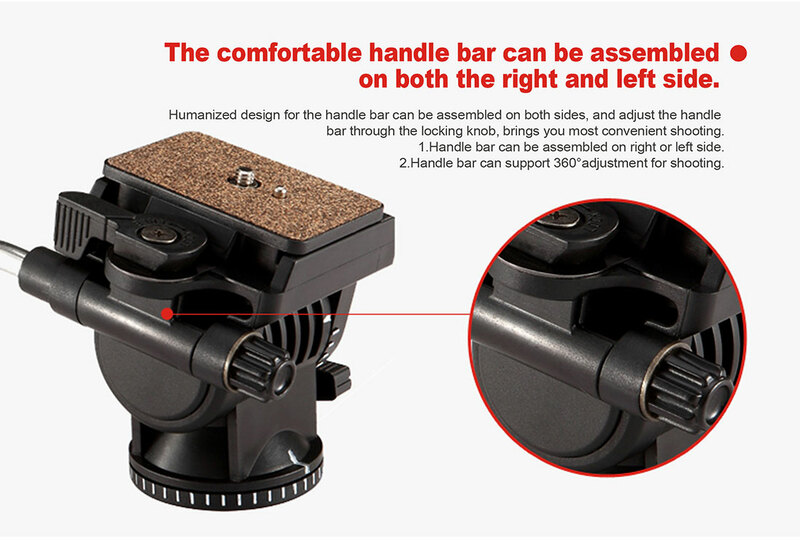 All metal parts adopt Mg-Al material. 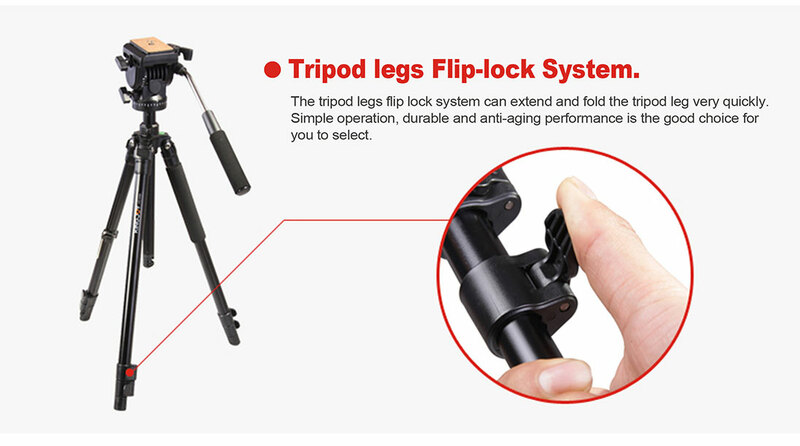 KINGJOY tripods keeps pursuing high strength, lightweight and stability, while KINGJOY tripods increase the portability and operation. 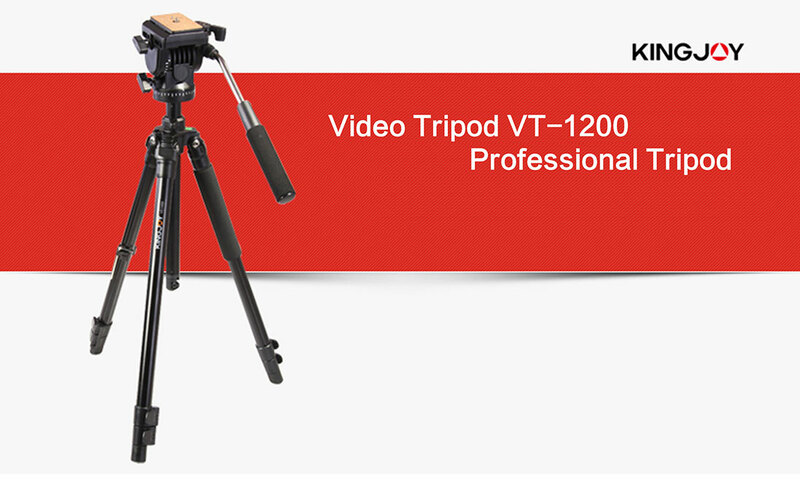 It is the best high cost performance choice for professional photographers. 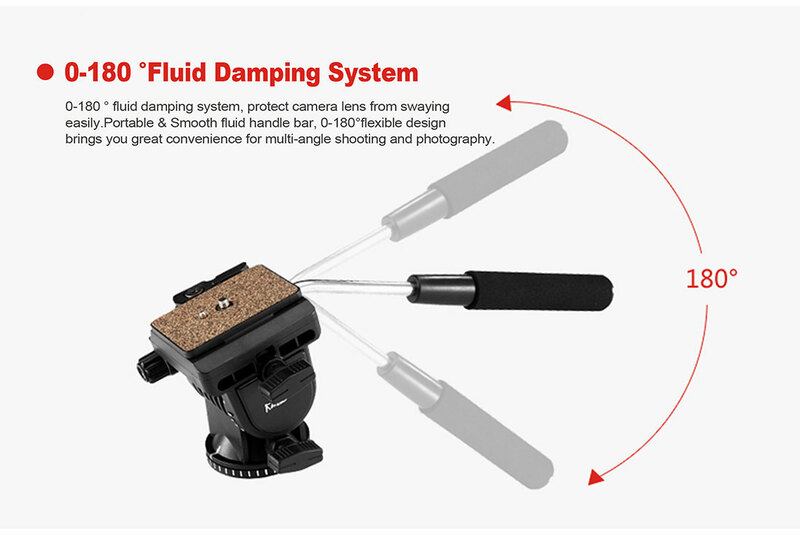 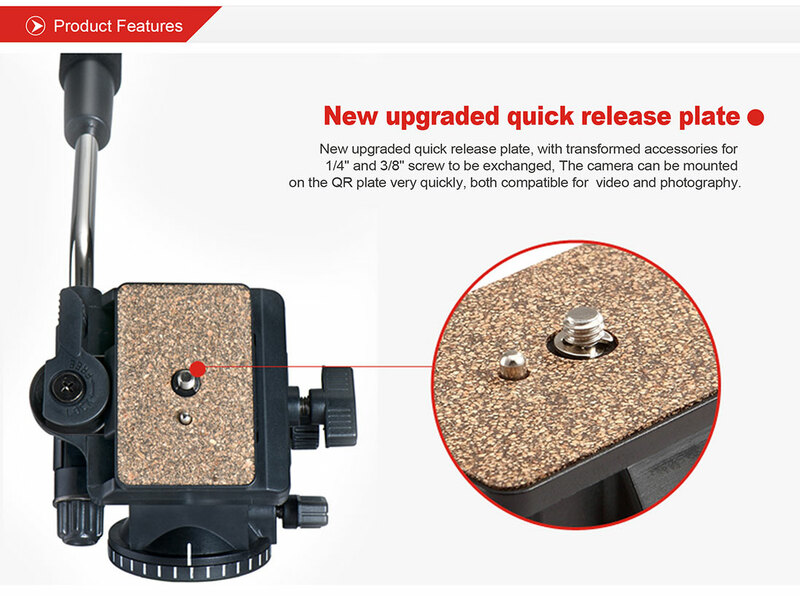 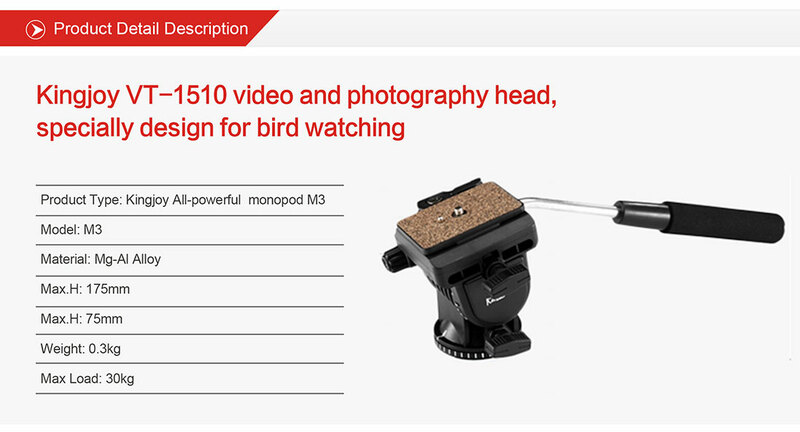 The platform adopts automatic reset with dual security knob design.You have to press the security knob on the contrary direction to dismount the quick release plate, which can prevent the camera from accidental falling off. 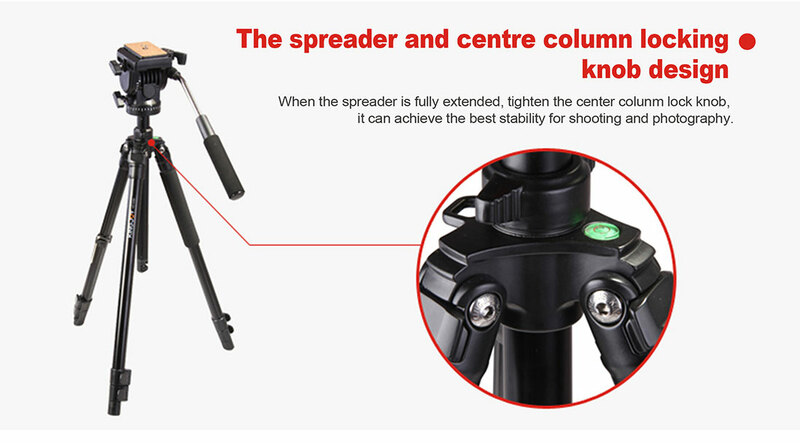 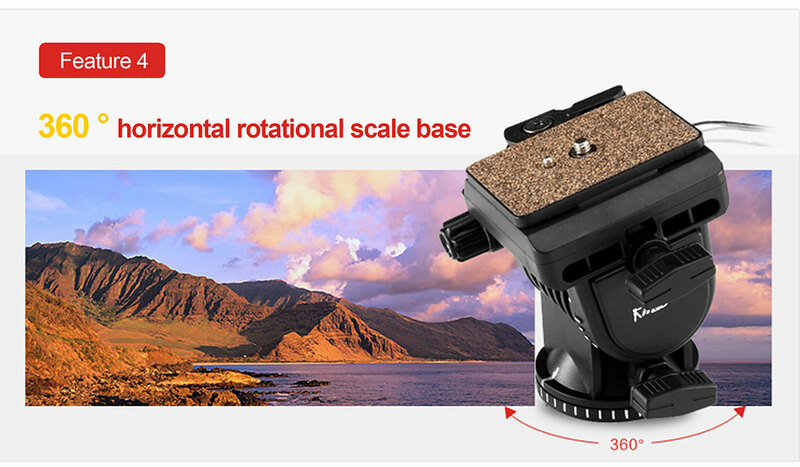 The head adopts the fluid damping adjustment design of front-to-back -90/+70°tilt,which can provide multi-angle shooting. 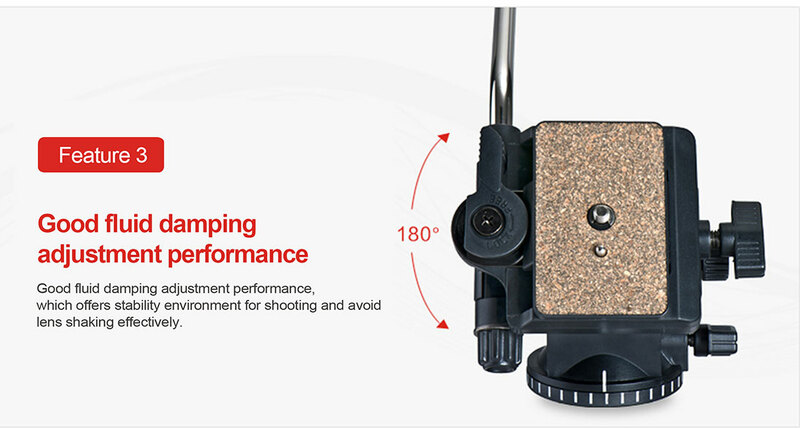 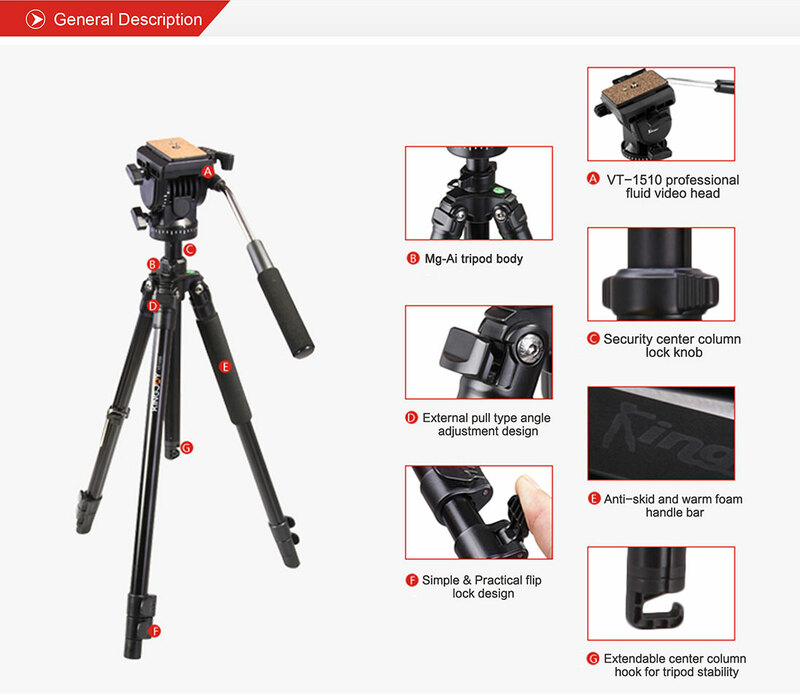 The tripod body is made of high strength shake-proof Mg-Al alloy, and treated by high temperature, corrosion resistance and baking varnish coating technology. 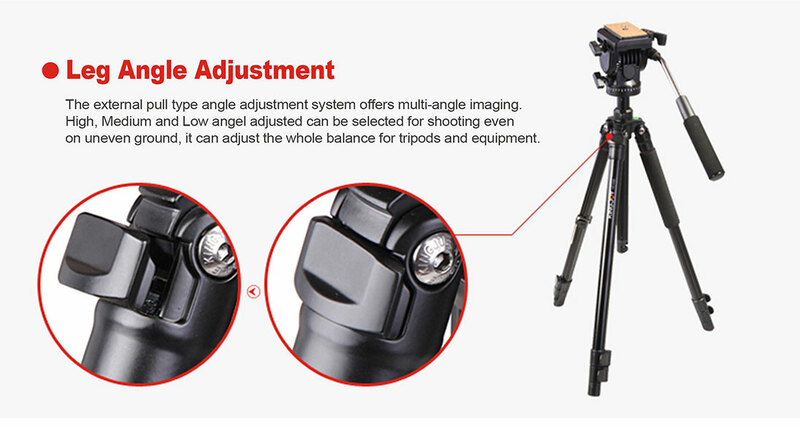 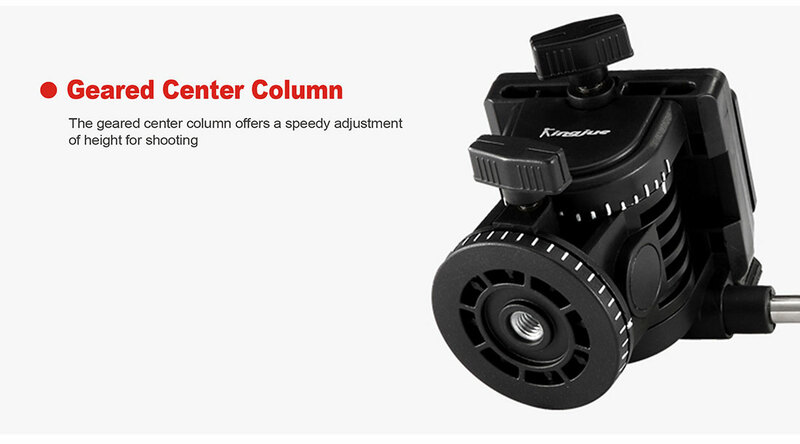 The external pull type angle adjustment provides the speedy adjustment of high, middle and low three angles. 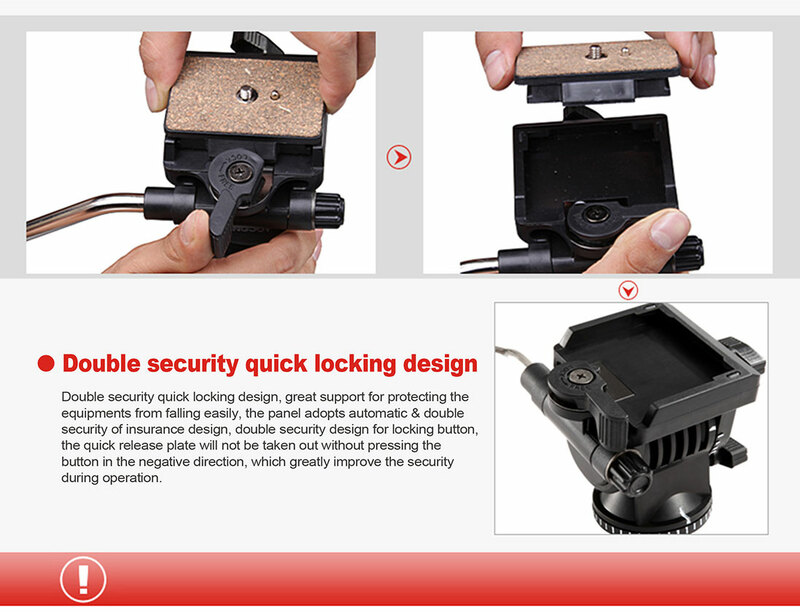 The humanized flip lock design, key features are easy operation, abrasion resistance and anti-aging.